A long vase with a tulip. Since it is much more common to place flowers in bunches, aristocrats found this style quite new and fresh. 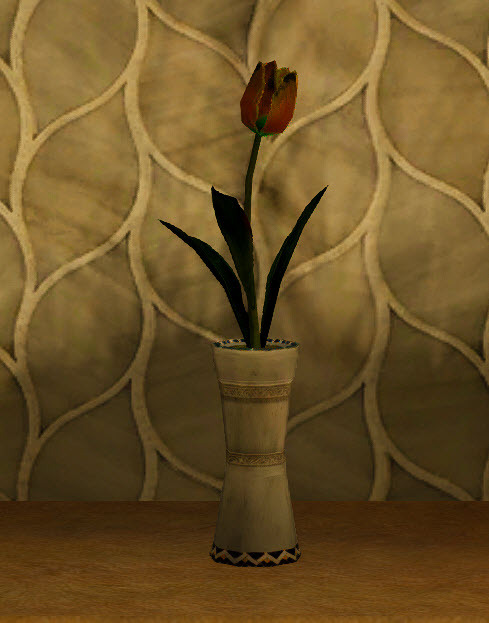 The Yellow Tulip Pot can be acquired by planting a Shelled Seed, purchasable from [some] seed vendors.